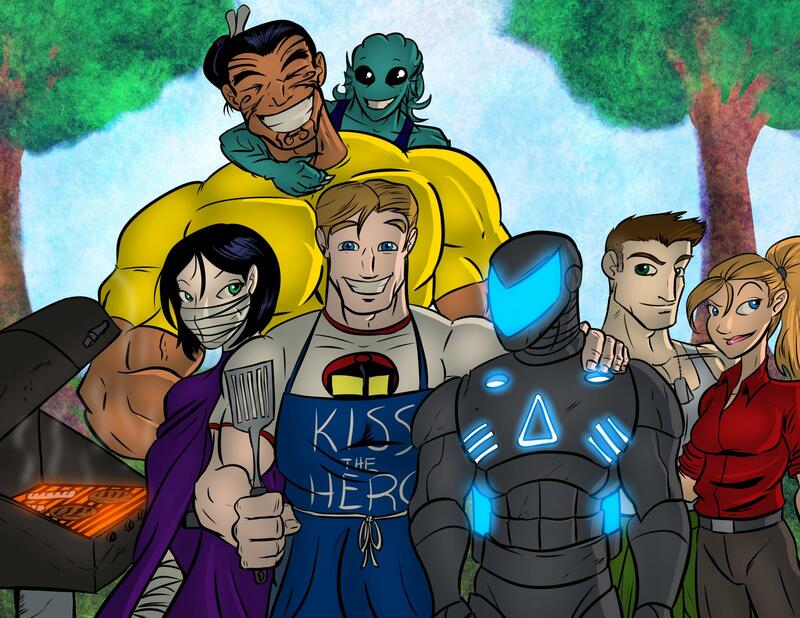 It's the 5th anniversary of Sentinels of the Multiverse and Greater Than Games is celebrating with Multiverse Month. Well, they had a Multiverse Month last year, but that doesn't mean they can't have another, and they're expanding on it. So if you're a gaming shop or want to inform your gaming shop about it, you can get some promo cards. They've also got a sale going on. You've only got a short time to get in on the promos, though. If you'd like to join in, be sure to send Greater Than an e-mail by the 15th of January (yeah, just a week away). As for the sales, starting on the 19th of January and going until the 16th of February, they'll be having special prices on various items in their webshop including Galactic Strike Force, Guardians of Volneth, and miniatures for Sentinel Tactics.